Lillie is pleased to now be a member of the Town and Country Realtors team, where she continues to focus her attention in the sale and listing of horse farms, property and upscale homes in Polk County, NC and Upstate South Carolina. Over the years, Lillie has received many national awards including being a member of the Re/MAX 100% club, the prestigious President's Club — the highest honor Re/MAX can bestow upon an agent, and qualified for membership in the Re/MAX Hall of Fame. 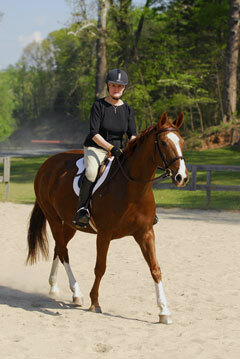 Her hobbies include swimming, tennis, and riding on a regular basis with Trainer, Jeanne Smith, at Clear View Farm in Landrum, South Carolina.